These were the heartfelt words of Monica and Penny as the Lucky Foreign Visitors 2015 program came to a close on December 13, Sunday. 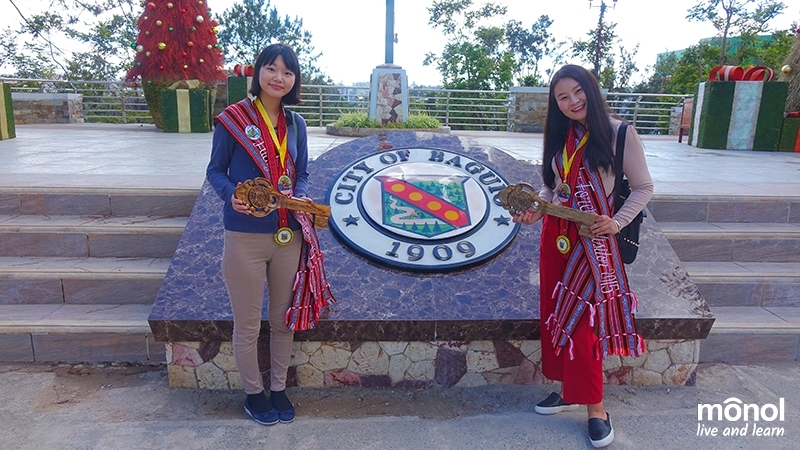 Monica and Penny hold their symbolic “Key to the City” in front of the Baguio City Hall. 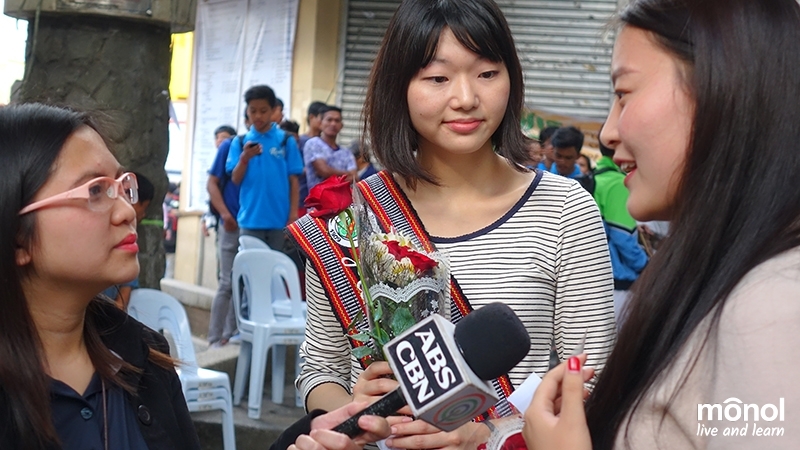 The Baguio Lucky Foreign Visitors 2015 was organized by the National Correspondents Club of Baguio (NCCB) with the sponsorship of the Department of Tourism. This has been ongoing since 1972, under the program “Silahis ng Pasko” (The Spirit of Christmas), which aims not only to promote the tourism of the city of Baguio but also to share goodwill and caring during the most wonderful time of the year, Christmas. Monica (Tomoko Ushimaru) and Penny (Peng Jun Qi) were the fortunate chosen guests of this program, which lasted for four (4) days. They were already escorted to their free hotel accommodations from Monol Thursday night and from then on, their series of adventures begun. 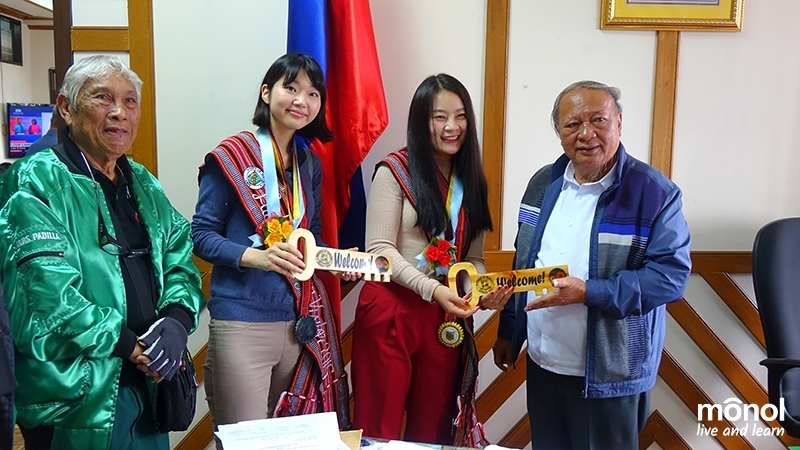 Last Friday, the students were able to meet Mayor Mauricio Domogan, and were given the “Key to the City”, a symbolic token welcoming the ladies to the city. 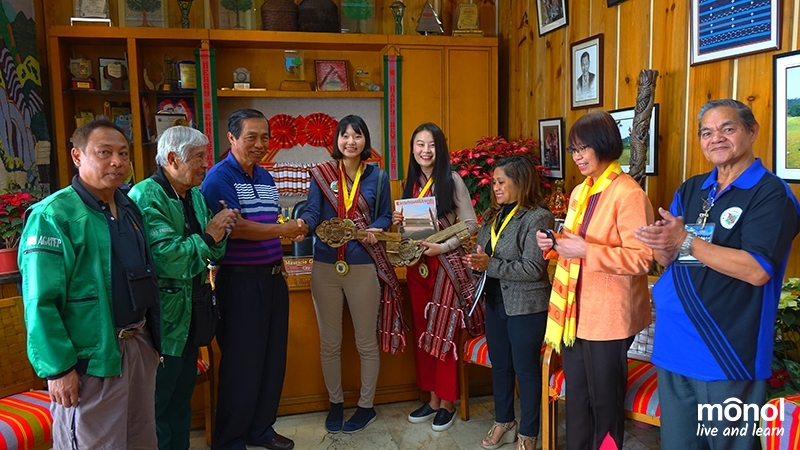 On the same day, Monica and Penny were also awarded the symbolic key of the province of Benguet, given by Governor Nestor Fongwan. Afterwards, the key to the municipality of La Trinidad was also given by Mayor Edna Tabanda. Finishing the formalities by lunch time, the students went to the infamous strawberry and flower farms of La Trinidad to experience being in the fields but most of all, interact with the people. Meet and greet. Awarding of the symbolic key to the city with Mayor Mauricio Domogan. Meet and greet. Awarding of the symbolic key to the province of Benguet with Governor Nestor Fongwan. Just like long-time friends. Monica and Penny strike a cozy and friendly pose with Mayor Edna Tabanda of La Trinidad after the awarding of symbolic keys. Saturday was also a hectic day for Monica and Penny. Part of the Lucky Foreign Visitors program was a tour to the hot spots in Baguio, which included the Philippine Military Academy, wherein both were given a chance to try out some of the armaments used by the cadets and officers of the military. They also went to the BenCab Museum, the Brown Madonna and the woodcarvers’ village in Asin. 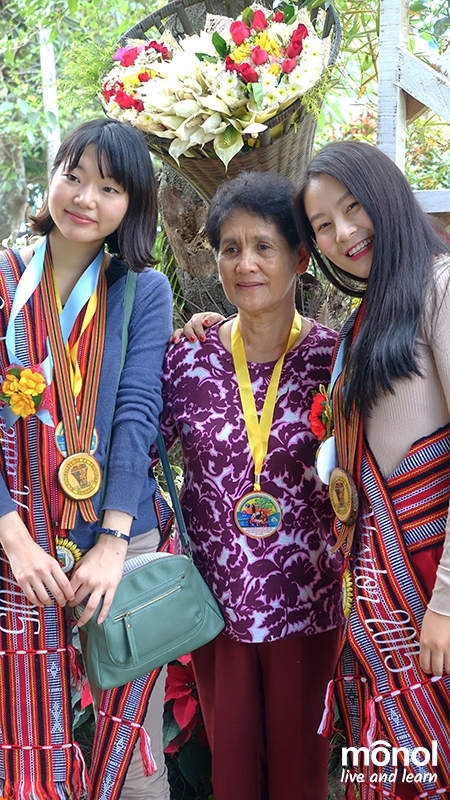 On Sunday, Monica and Penny went horseback riding at Wright Park and in the afternoon, a special cultural program was organized for them by the Baguio City National High School Special Arts Program at Malcolm Square. Christmas is about sharing and caring. 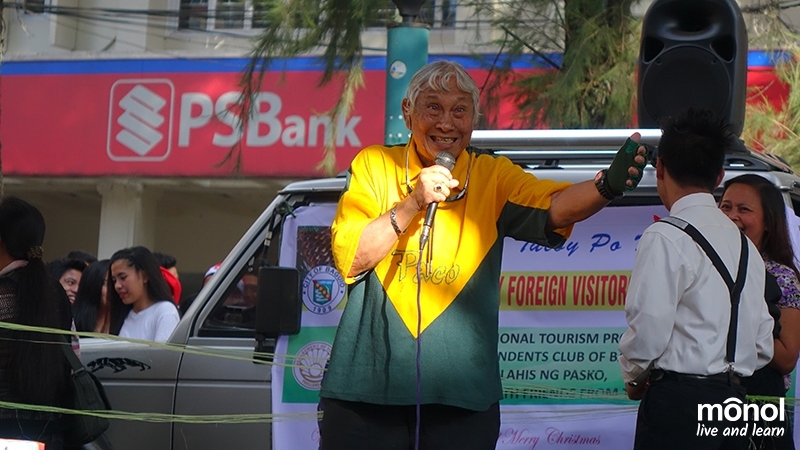 These were the inspiring words of Nars Padilla, President of the NCCB, during the cultural show at Malcolm Square. The last four days might be an exhausting trip for both ladies considering the program had a detailed laid out plan – from light and relaxed tours to formal exchanges with city officials and cultural exchange programs, however, it was evident on the students’ faces that this experience was going to be one of their best while in Baguio. All eyes on them. The media from the locality swarmed like bees over Monica and Penny as the city’s lucky foreign visitors. Their journey has been reported by 10 local newspapers and were also covered by major TV networks.